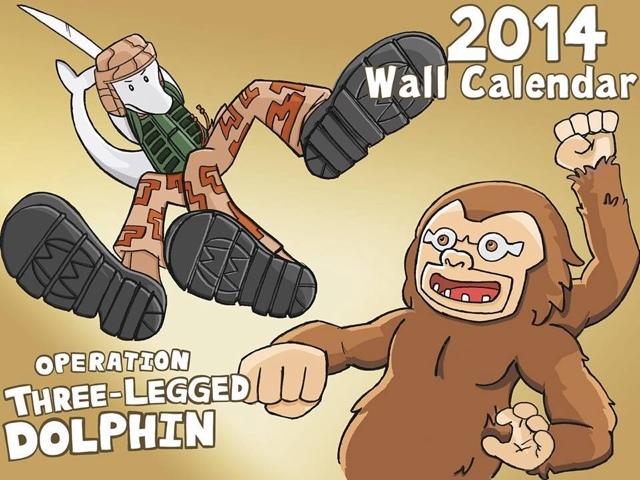 Operation Three-Legged Dolphin: O3LD: 2014 Wall Calendars! We all wish you a dolphin-tastic, rockin’ New Year’s! To celebrate, we’ve released our first ever Operation Three-Legged Dolphin wall calendar! This 12 month package dives us into an 80s rock band, an eskimo camp, a Tokyo-styled dinery, and last but not least- the Statue of David in L'Accademia. Truly some classic artwork lies here. Twelve months of the year, twelve times overwhelmed by awesome art. Snag yours today!